GDI Power Plant – It’s Finished! I can’t believe it’s been a month since my last post but I meant to post this weeks ago but alas I’ve been busy! I’ve decided to revamp my “brand” so there is now some new “branding” on my screenshots. This project took me longer than expected and there could be more done to it in several places but I wanted to move onto a new project. I am happy enough with the current state of it to call it “finished”. 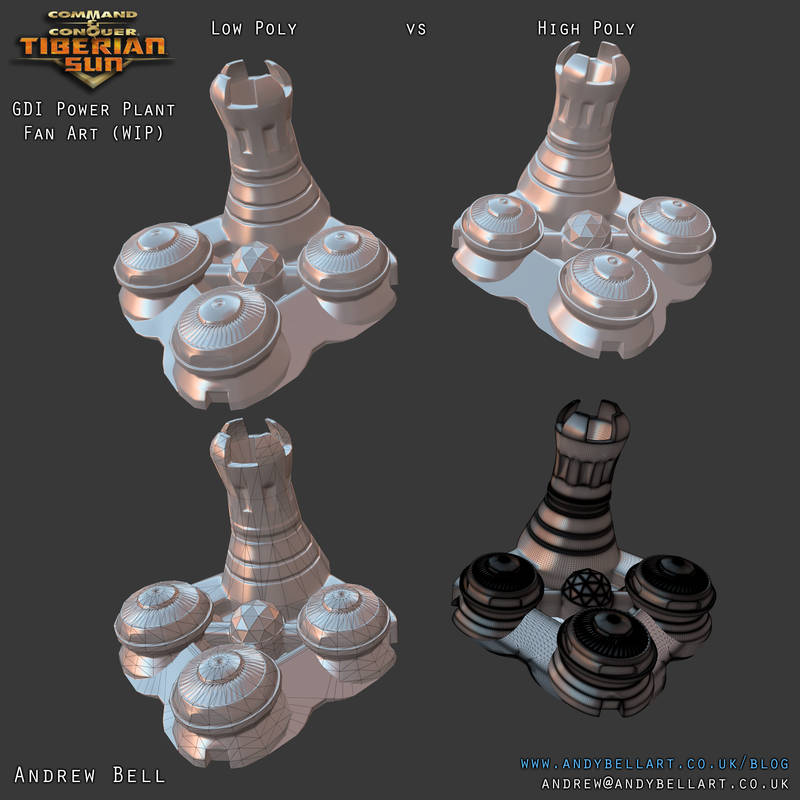 Author teessiderPosted on 13th June, 2014 30th June, 2015 Format GalleryCategories artTags art, Command & Conquer, Environment Art, fan art, GDI, marmoset toolbag 2, portfolio, Power Plant, Substance Designer, Tiberian SunLeave a comment on GDI Power Plant – It’s Finished! I’m currently texturing this asset at the moment but here is my low poly model with the normal map (baked in Substance Designer) applied vs my original high poly model I did. I must admit that I’m fairly pleased with how the bake turned out. There are still small issues with it but for this project, I’m going to carry on with it! This was rendered out in Marmoset Toolbag 2 as well (got the trial at home) and it’s great that it has Substance (.sbar) support!